These high thermal conductivity aluminum bands may be added to stove pipes, exhaust stacks, or other pipes and tubes to extract heat from the pipe and radiate the heat into the air. Heat is conducted into the band loops where it exchanges with the air. Made of highly conductive 28 gauge aluminum 1 ½ inches wide. Easy installation…wrap around the pipe, snap lock ends together for a tight fit. No tools required, install in minutes, no maintenance required. If you have a flexible tape measure (like those used for taking clothing measurements), you may use that. Or, you may use a piece of non-stretchy string or yarn, and measure the string with a tape measure or ruler. Do NOT measure a hot pipe! Wait until it is cool. Wrap your flexible tape measure around the pipe, and note the measurement at the point of overlap. 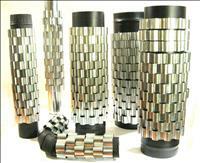 Our heat exchangers are sold in sets of 6. All standard American stove pipe sizes are available: 3", 3.6", 4", 5", 6", 7", and 8" diameter. Bear in mind that these are the diameters of the pipes, but to measure your pipe, you will have to measure the circumference (the distance around). Please see our detailed instructions. 3½", 4¼", 5", 6", 7¼", 7¾", 8", and 11¼" circumference. 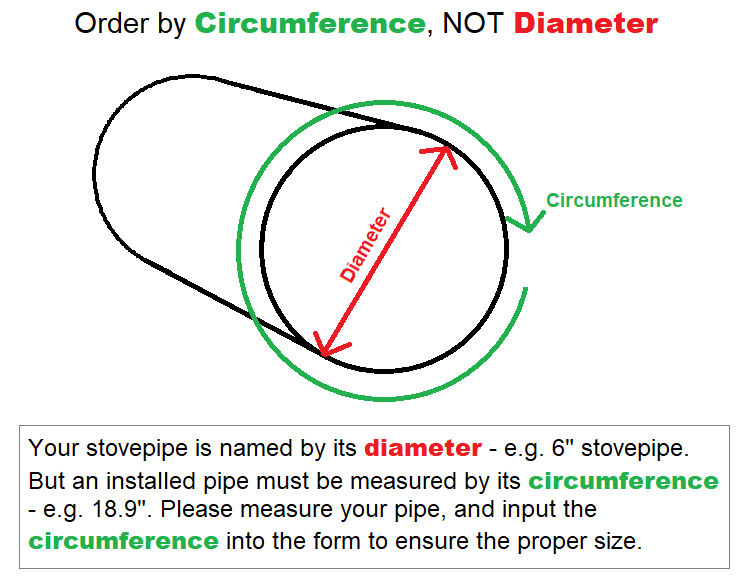 Please be sure to measure your pipe before ordering. We can also supply custom sizes. Email us. They work on the same principle as fins on a motorcycle engine. They conduct heat into a larger square area of exposed surface to allow more heat radiation. The bands make tight contact with your pipe and conduct the heat into the loops where convection through the loops allows more heat to be given off. The bands conduct heat from the points of contact on the stovepipe to the loops in the band where the heat is released into the room. The band loops get as hot as the stovepipe...too hot to touch. So for example, by installing a set of six 6 inch diameter bands, you create the equivalent of this 12 in. x 15 in. sheet of hot sheet metal, 500 - 700 degrees, radiating heat from both sides of the sheet into the room before it escapes out the chimney. That is like a small space heater itself...and it is FREE HEAT. They attach quickly and easily to your pipe....no screws or tools needed. The ends lock into each other. 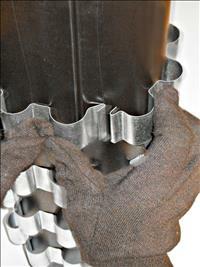 It takes less than 5 minutes to attach all six heat exchangers. CAUTION: WEAR GLOVES and SAFETY GLASSES during installation! Install when the pipe is cool. Wrap the radiator band around the pipe leaving the ends on the backside of the stovepipe (so they cannot be seen from the front). The ends simply snap and lock into each other. 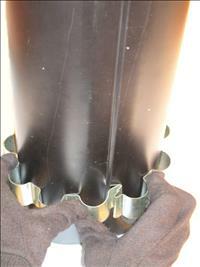 The ends are designed to be stretched toward each other to snap and insure good tight contact with the pipe. 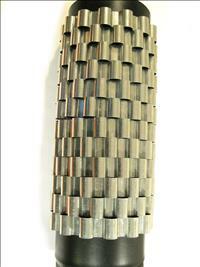 Heat exchanger bands are 1.5 inches wide, and so a set of 6 will cover a length of 9 inches on the pipe. They may be placed anywhere between the stove and where the stovepipe exits the room.